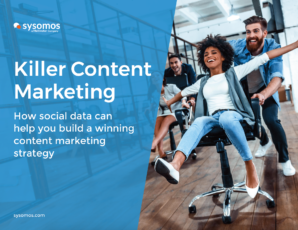 Sysomos, a Meltwater Company, is the global leader in social marketing and analytics empowering brands and agencies to turn data-driven insights into actionable customer engagement opportunities. 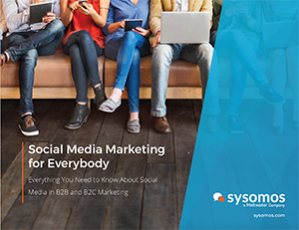 It doesn’t matter if you’re in B2B or B2C marketing, social media is a big part of every marketer’s job these days, and with ever-increasing complexity, it can be tough to make sure your skills are up to date. Great content is at the heart of modern marketing, but how can you make sure you’re reaching the right audience with the topics that they care about? You can use social data to help solve these problems and get better ROI from your content. 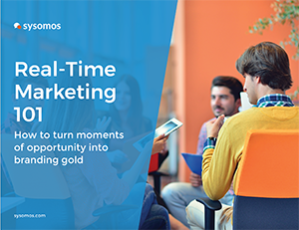 According to eMarketer, 80% of marketers believe that real-time marketing must happen within an hour of the relevant event to be effective. More than half go even further, saying it must be within one minute.